President Jackson is a native of Grand Rapids, MI. And is employed with a national healthcare organization where he has oversight for 22 counties in the west Michigan region and is responsible for community and civic relations. In 2018 Cle will celebrate his 22nd year work anniversary. Cle’s community involvement ranges from president of the board of directors for Baxter Community Center, Board Member K-Connect, Founding Member CleMont Literary Society Washington DC, past Board Member Gilda’s Club of Grand Rapids, past Advisory Board Member Lake Michigan College Catch the Dream and past Board Member Disability Advocates of Kent County. Additionally, Mr. Jackson served as an executive cabinet member for the 2011 Catherine’s Health Center capital campaign and executive chair for the American Cancer Society’s 2010 Cattle Barons Ball. Cle has received numerous civic awards and citations over the years, including the 2012 Eugene Browning Medical Service award and the 2016 Whitney M. Young, Jr. Service Award, the highest national service award given by the Boy Scouts of America. Click Here to watch a video introduction with Cle Jackson. 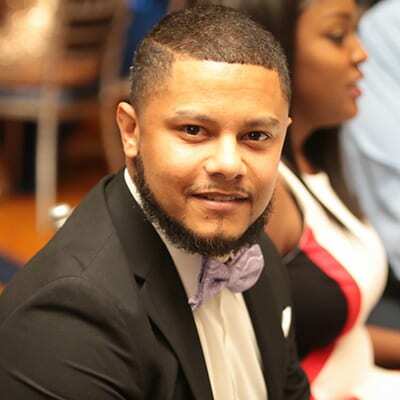 Chris Sain Jr., Mr. Sain is a social entrepreneur, author, public speaker and consultant. Mr. Sain is the founder of Grand C.I.T.Y. Sports and has made a commitment to work in service of our youth in order to pass along lessons he learned and to provide a foundation for young men and women. 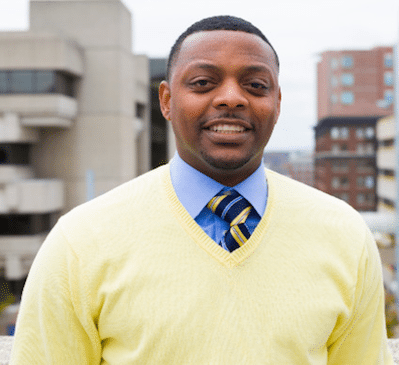 His areas of expertise include, Social Entrepreneurism, Consultant, Youth Mentoring, Conflict Resolution, Motivational Speaking, Life Skills Development and Counseling, Substance Abuse Counseling, CBT, RBT, DBT, Marital Counseling and Motivational Interviewing. 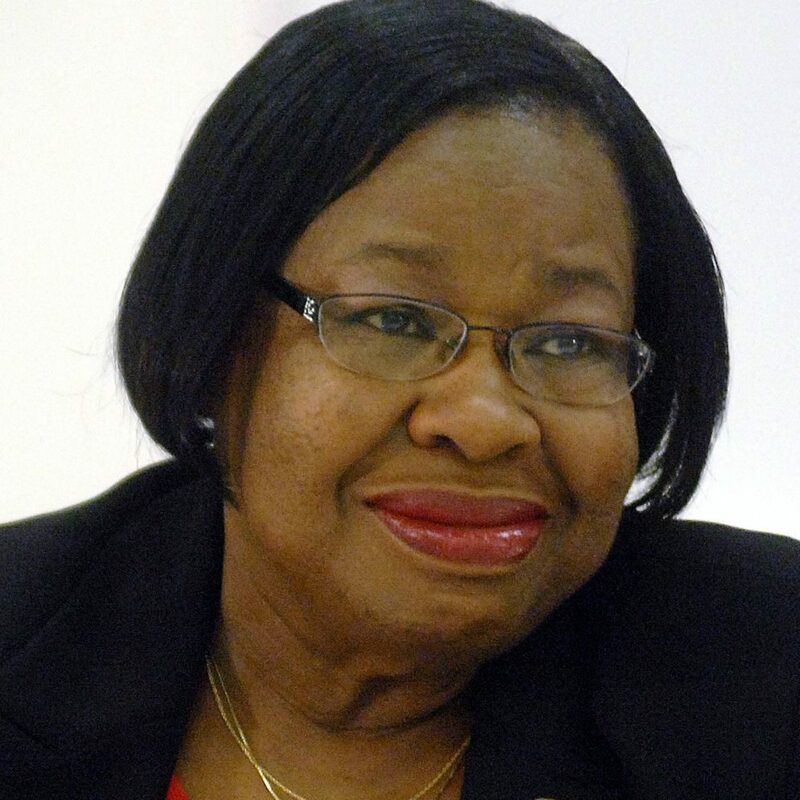 Ellen M. James, Ms. James presently serves on the Pilgrim Rest Baptist Church Board of Trustees and served as past trustee on the Metropolitan Board of the YMCA, Porter Hills Foundation, Mount Mercy Housing Corporation, President of the Coalition for Representative Government, Grand Rapids Police Chief Advisory Committee, and honorary co-chair of the Girl Scouts capital campaign drive. Ms. James was elected to the Board of Trustees of Grand Rapids Community College in February 1991, reelected in June 1997, June 2003, and again in 2009. Ms. James ended her trustee term after 25 years of service with the Grand Rapids Community College. Ms. James is retired from the City of Grand Rapids where she served in the Equal Opportunity Department. The Secretary of the NAACP Unit and the Executive Committee gives members notice of regular meetings and of special meetings of the NAACP Unit and Executive Committee. The Secretary keeps full and accurate records of the proceedings of the NAACP Unit and of the Executive Committee. The Secretary aids, coordinates and integrates the work of the several committees and divisions of the NAACP Unit. The Secretary keeps the President and CEO of the Association informed of all events affecting the interests of minority groups in the vicinity of the NAACP Unit and to submit to the Association, whenever required by the Association, report on NAACP Activities. Ms. Jackson is employed in the area of labor relations as a benefit representative and civil rights liaison. Ms. Jackson has over two decades of experience in civil rights and labor relations and is a member of Delta Sigma Theta Sorority Inc. The Assistant Secretary performs the duties of the Secretary in his or her absence, unavailability or disability. Ms. Bolden is employed as the program director for a local faith-based non-profit and works in private practice. 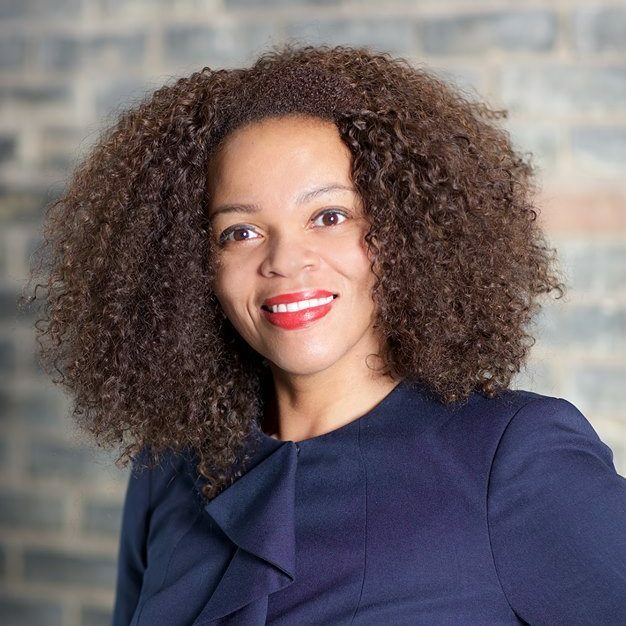 Also, Ms. Bolden serves as an adjunct professor at a local university in the School of Social Work, with a primary teaching focus in policy, and co-chairs the NAACP Policy Committee with a highlighted focus on how policy impacts communities of color. 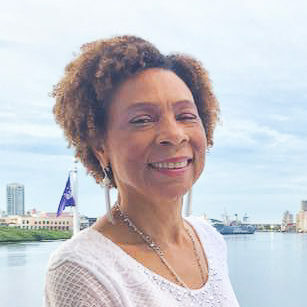 Ms. Bolden is a Licensed Master Social Worker (LMSW), Acupuncture Detox Specialist (ADS), Certified Advanced Alcohol and Drug Counselor (CAADC), and Eye Movement Desensitization and Reprocessing (EMDR) Specialist. The Treasurer receives all monies of the NAACP Unit. The Treasurer acts as chief financial officer of the NAACP Unit and chair of the Finance Committee. The Treasurer submits reports to the NAACP Unit and the Executive Committee at all regular meetings, or whenever required by either body, covering the financial condition of the NAACP Unit. Mr. Beene is currently employed as a fund development officer with a local school system. Mr. Beene is responsible for nurturing and maintaining relationships with current and potential donors utilizing effective correspondence with all persons contacted for funding and support for this school system. Mr. Beene was honorably discharged from the United States Marine Corps after serving eight years of military service. Mr. Beene serves on the Board of Directors for Access of West Michigan as well as The Salvation Army’s advisory council. On January 3, 1919, fifty people gathered with Rev. Robert Bagnall, the Great Lakes district organizer of the NAACP, to charter the Grand Rapids chapter. The National office of the NAACP granted a charter to the local chapter twenty-two days after the submission of their application. The officers of the branch were Thomas E. Benjamin, a railroad porter, who served as president; Basil Ray, a waiter, was appointed vice president; George M. Smith, a printing superintendent, was the group’s secretary; and J. Ed Jones, a custodian, became treasurer. Each charter member paid one dollar and received a subscription to Crisis magazine. The organization of the chapter in 1919 was a part of the larger expansion of NAACP branches all over the country. A historian of the NAACP noted that, at the time of the 1919 national conference of the NAACP in Cleveland, “there were 220 branches and 56,345 members, and the circulation of the Crisis stood at 100,000. If you have any questions regarding our staff or our organization, we invite you to reach out to us at 616-719-3478 today. 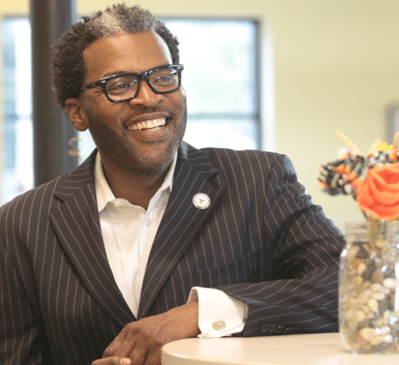 Read our story and learn more about Cle J. Jackson, president of the Greater Grand Rapids NAACP, an advocacy group dedicated to fixing crumbling city infrastructure, criminal justice reform, and improving education, environment, and the healthcare systems throughout Grand Rapids, MI.